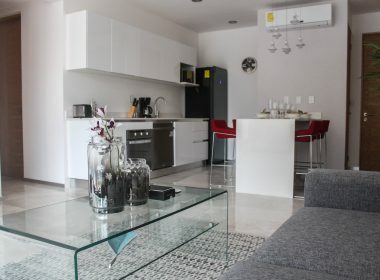 Calle 32 entre 10 y 5, Playa del Carmen, Quintana Roo, México. 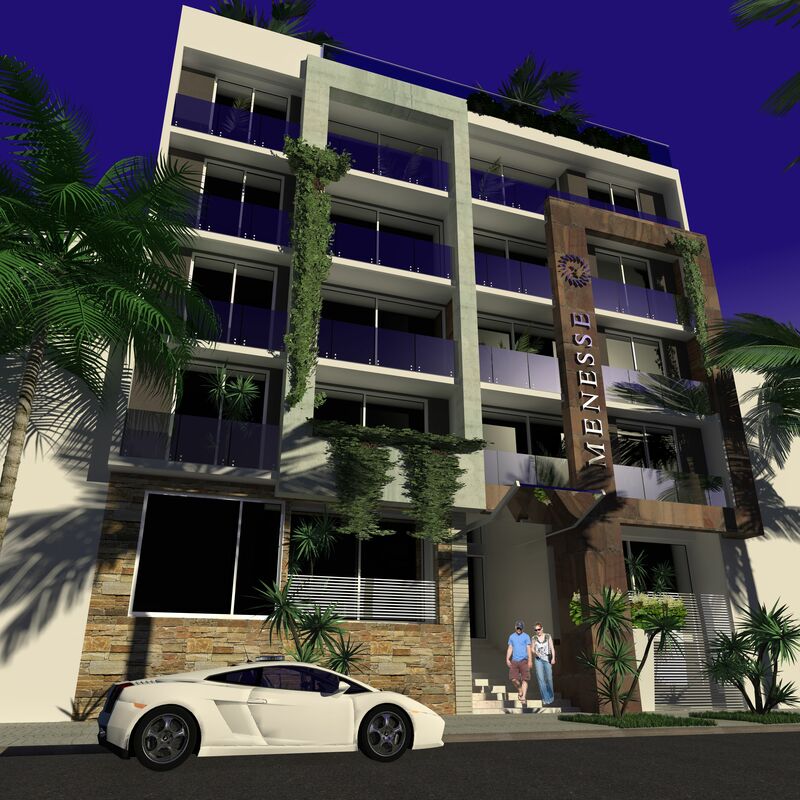 A development that will fascinate you from the first moment, with the authentic lifestyle of the Riviera Maya, spacious and modern units in one of the best areas of the city. 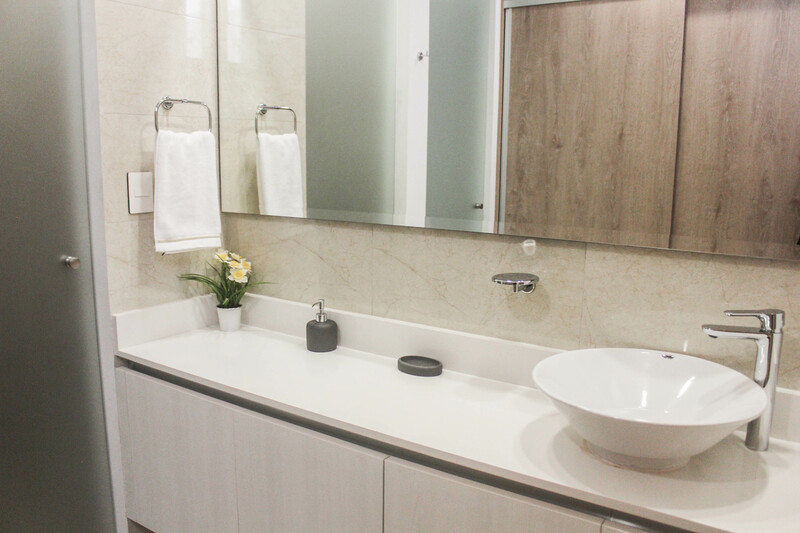  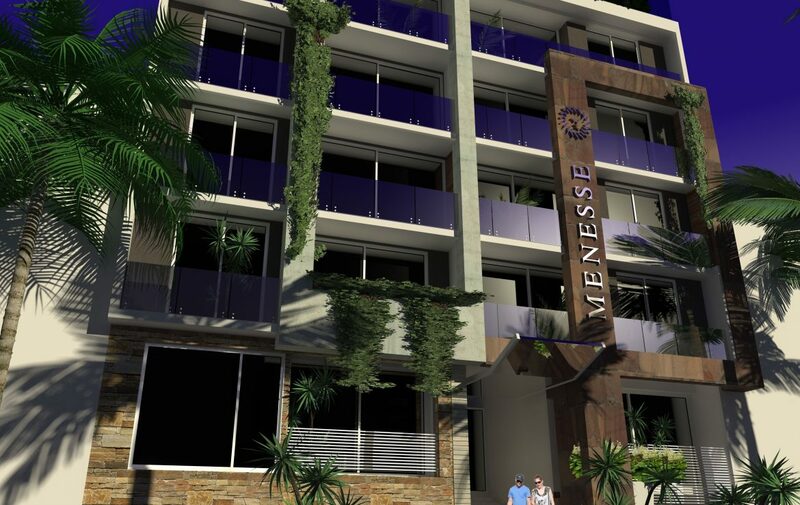 This development consists of 20 apartments of 1 and 2 bedrooms, distributed in 5 levels. 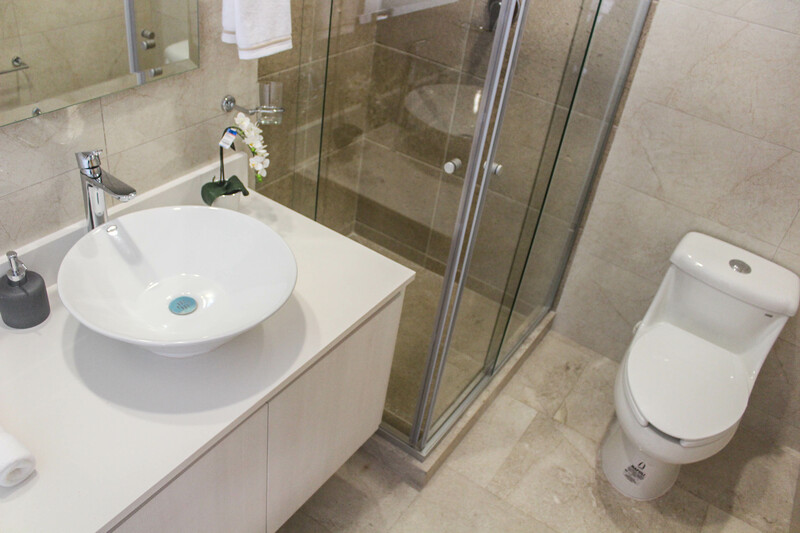 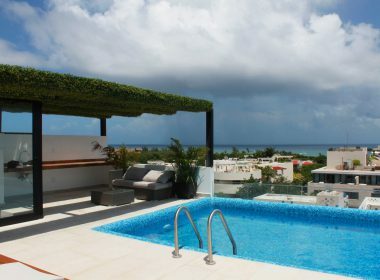 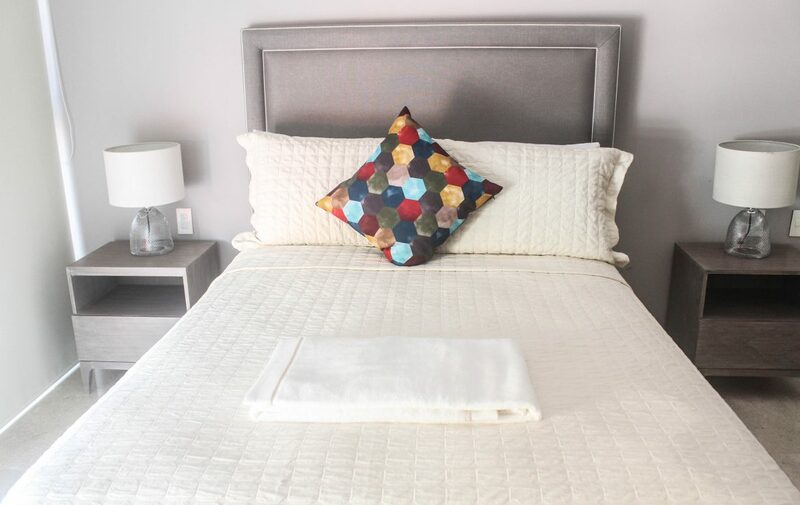 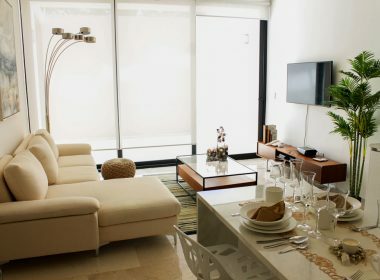 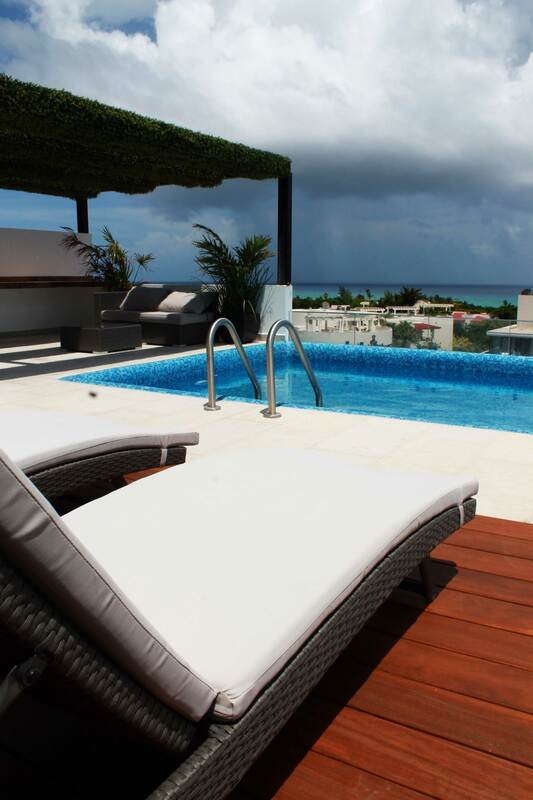 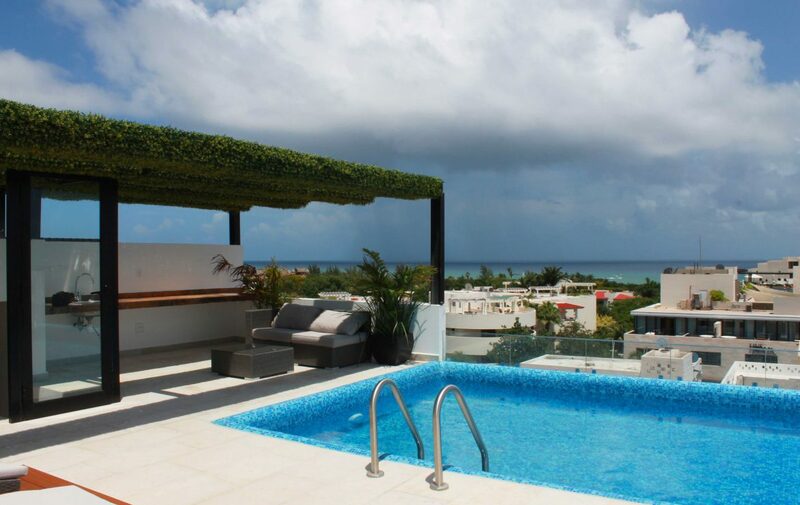 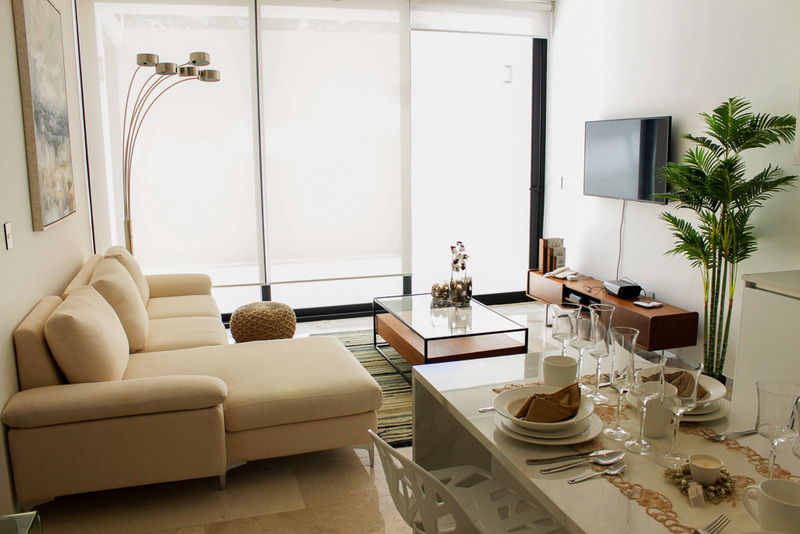 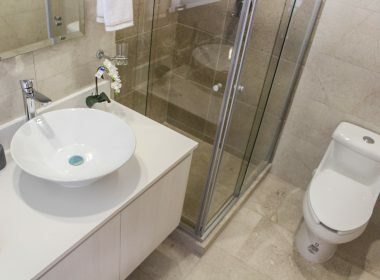 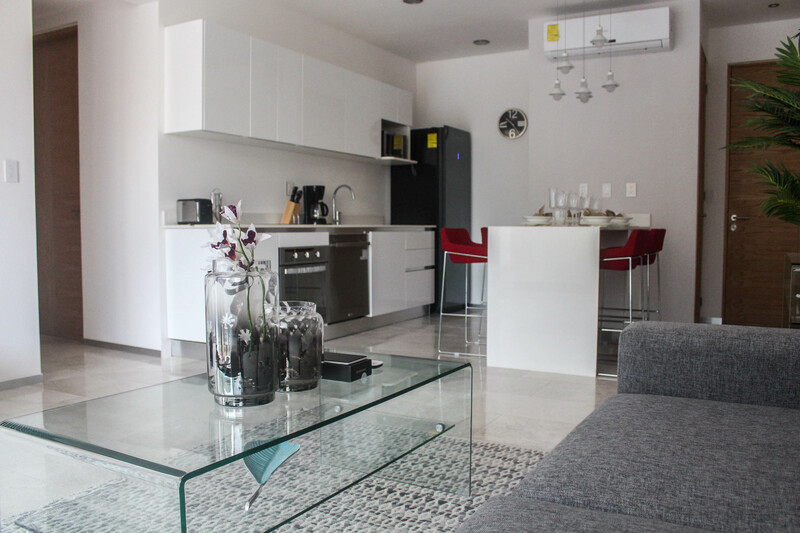 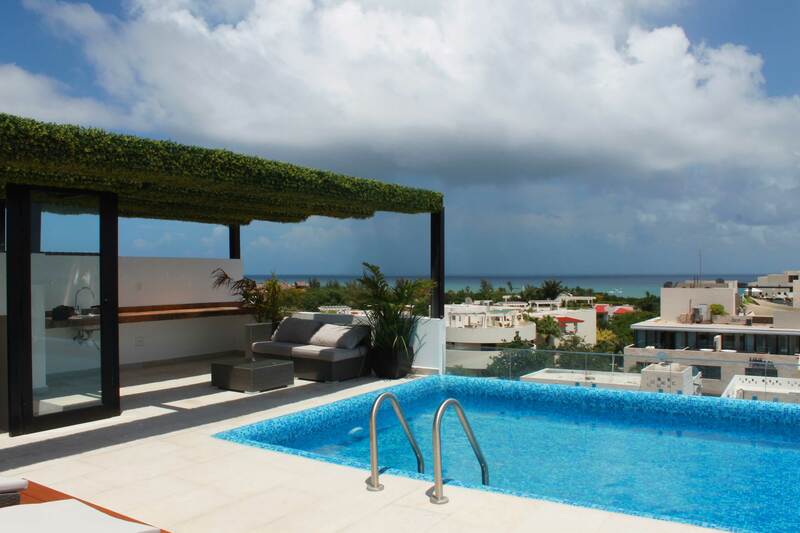 Offering maximum comfort, the luxury units are located in downtown of the city of Playa del Carmen. 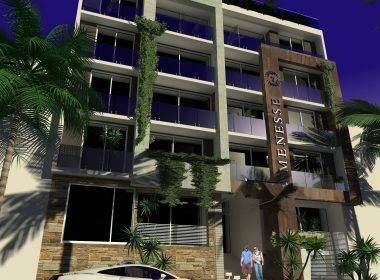 The apartments will have porcelain and marble floors, A/C in bedrooms and living room, kitchens and bathrooms fully equipped. 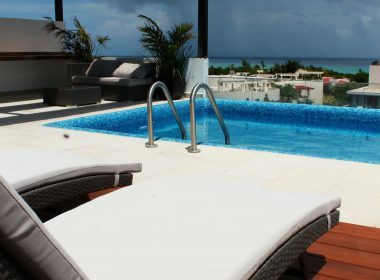 The penthouse units have it’s own private swimming pool and the possibility of building a third room on the rooftop, increasing their added value. 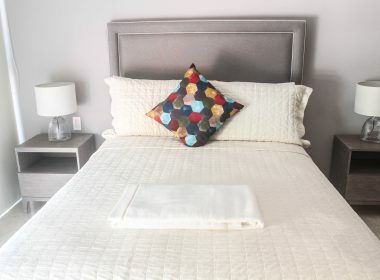 Its unbeatable location on Calle 32, between 5 Av and 10 Av only 20 meters from the famous Fifth Avenue and a few blocks from the renowned Mamitas beach club. 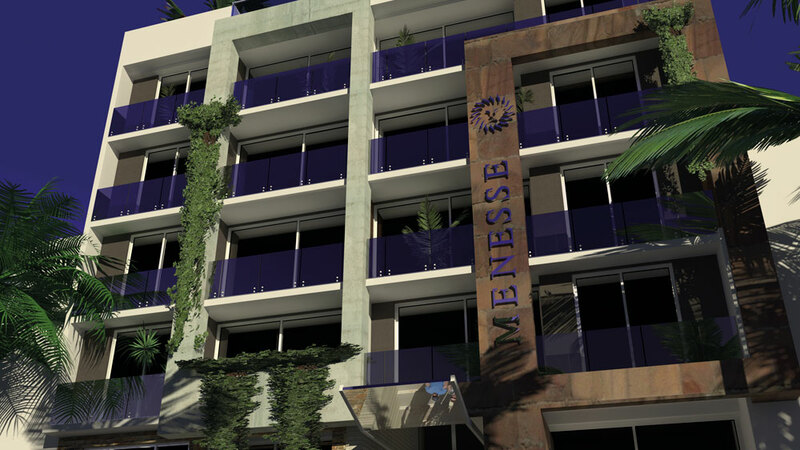 Surrounded by restaurants, boutique shops and bars, as well as sports centers make Menesse 32 an excellent investment option. 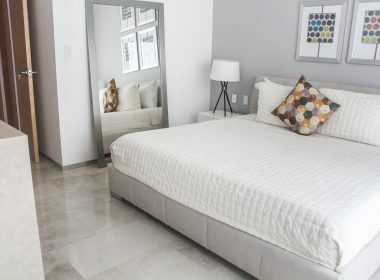 Its structure has meticulous details such as moisture-proof wooden floors, considering the climate of the area, marble floors and stairs that give life to the place. 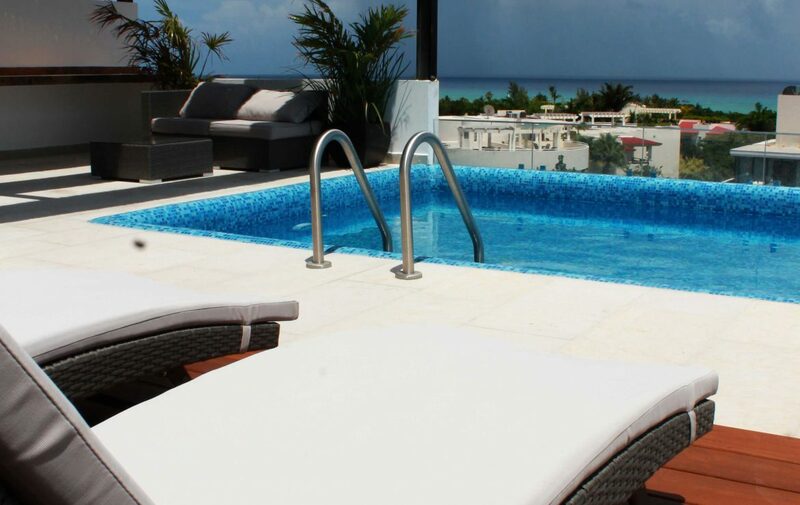 In addition, you will find a magnificent infinity pool with a bar in the rooftop and beautiful views of the city and the Caribbean Sea. 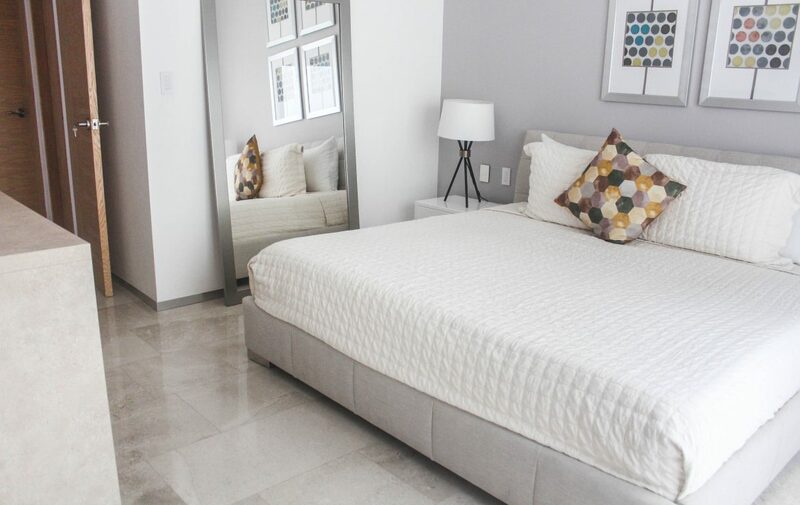 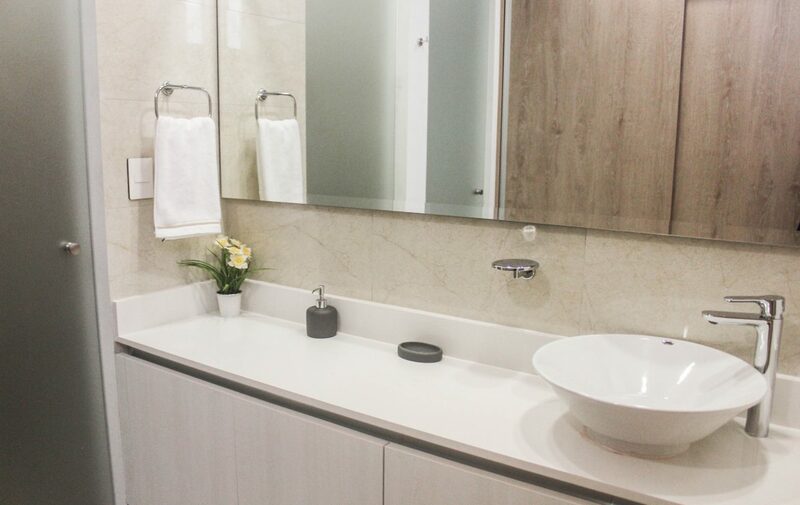 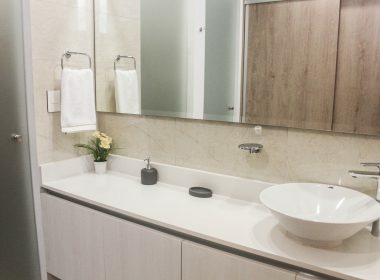 You will enjoy amenities such as a warehouse, solarium, interphone reception, underground parking, elevator and security 24 hours. 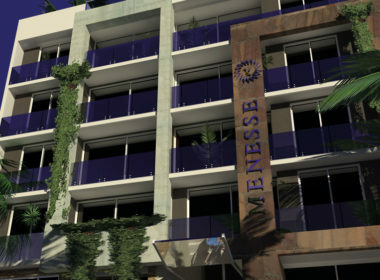 Menesse 32 - Calle 32 entre 10 y 5, Playa del Carmen, Quintana Roo, México.